Gretchen Menn - Women That Rock! Sign Up at the Bottom! We are happy to have the talented Gretchen Menn as part of our month-long Women That Rock event, sponsored by Guitar Player Magazine. Gretchen will be giving an intimate and informative clinic, followed by a presentation about being a female in the music industry. This special clinic will focus on assembling musicians, and forming a band to perform original music. Students are encouraged to bring their instruments. Likewise, Gretchen will cover writing and composition, the learning process, and productive practice techniques. 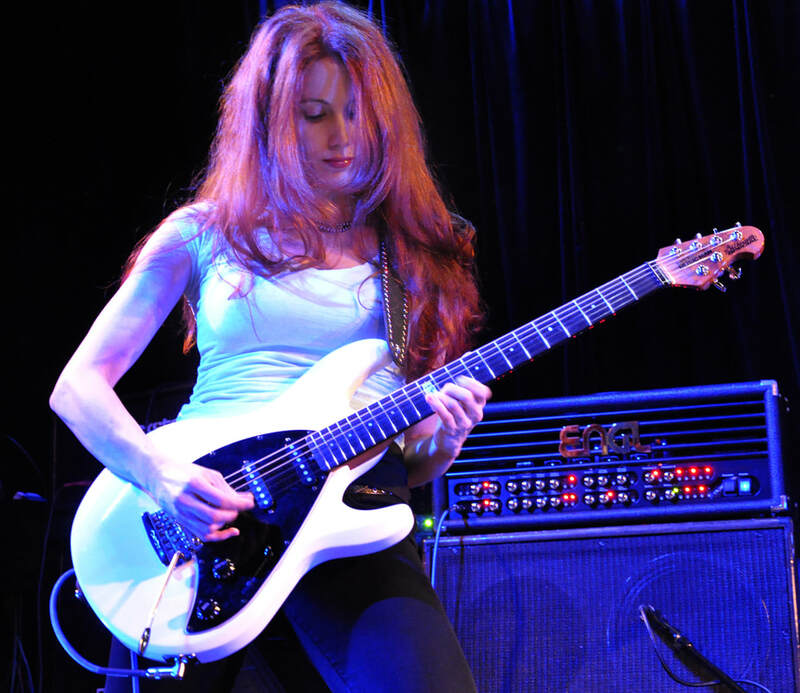 Gretchen Menn, a former jet pilot, has made a name for herself as a virtuosic, genre-bending guitarist. Michael Molenda, Guitar Player Magazine’s editor-in-chief, described Gretchen’s solo music best when he said that she “seeks the unknown by blending disparate jazz, prog, and world-music influences into a tasty, guitaristic thrill ride.” She has studied the music of Bach, Mozart, Beethoven, Stravinsky, Steve Morse, Frank Zappa, and Jimmy Page. She also plays all over the U.S. in the all-female Led Zeppelin cover band powerhouse, Zepparella. Sign Up Now for the Gretchen Menn Extravaganza!